Today my 12 Days of Christmas giveaways continue with one of my favourite stationery brands: Hex and Ginger. You may remember them from my National Stationery Week collaboration and a recent bullet journal giveaway. In fact, speaking of bullet journals, I recently rated theirs as the best value. 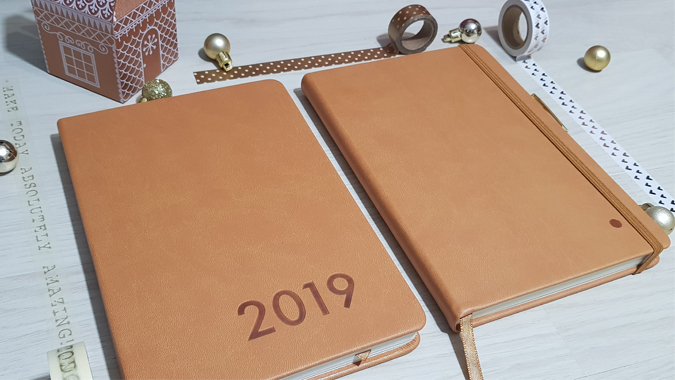 So when Chantelle sent me a 2019 diary in the same style, I did a little happy dance. They look great together, don’t they? 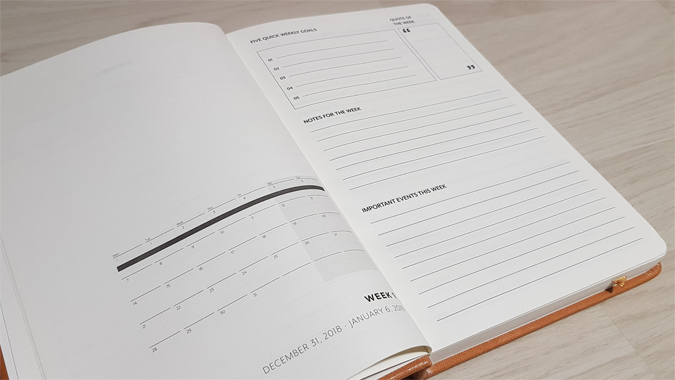 The diaries are also available in grey, mono botanical, black and pink. I have to say, I love the format and don’t think I could ever go back. 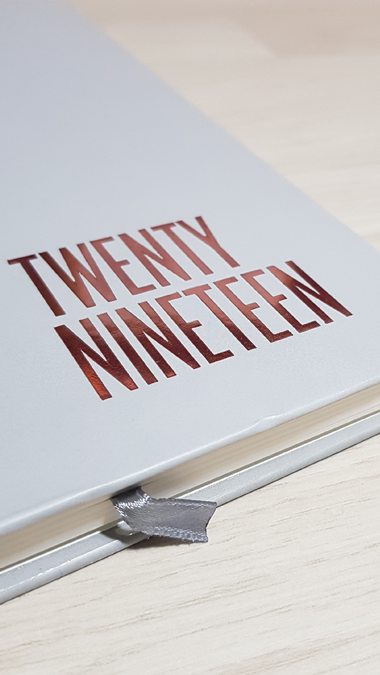 I have so many journals, planners and diaries, allowing me to track different things, such as my schedule, goals, appointments, etc, but this diary allows me to keep all of the highlights in one place. 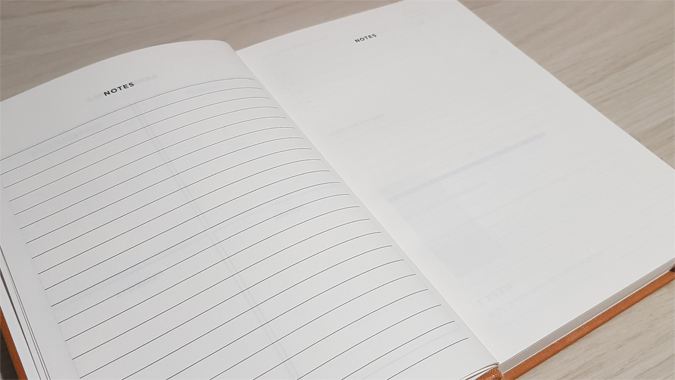 There’s a year to a page calendar, a spread for my annual goals and room for notes, plus each week has its own spread with a calendar overview, space for goals, notes, important events and quotes, plus a week to view spread and space to reflect. Perfect! 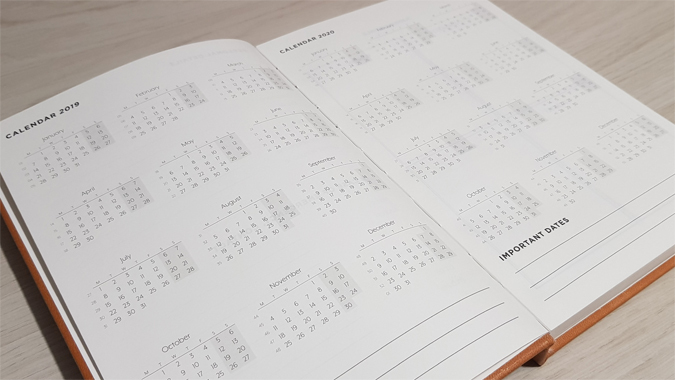 The diaries are also available in a day to view format. And I’ve got a beautiful grey diary to give away! 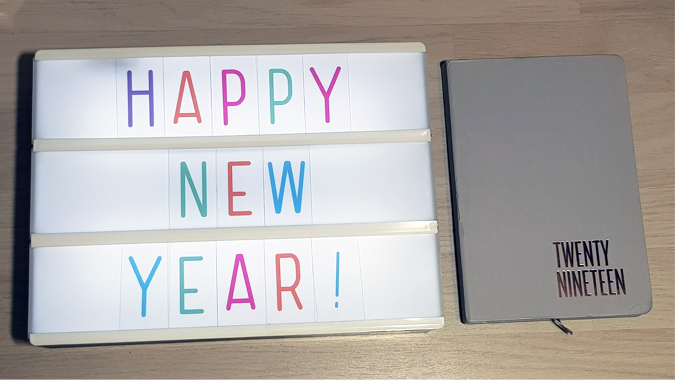 To be in with a chance of winning a 2019 diary, just complete the Gleam entries below before midnight Saturday 8 December. A winner will be drawn at random and contacted directly. They will have a week to respond before an alternative winner is selected. UK entries only. 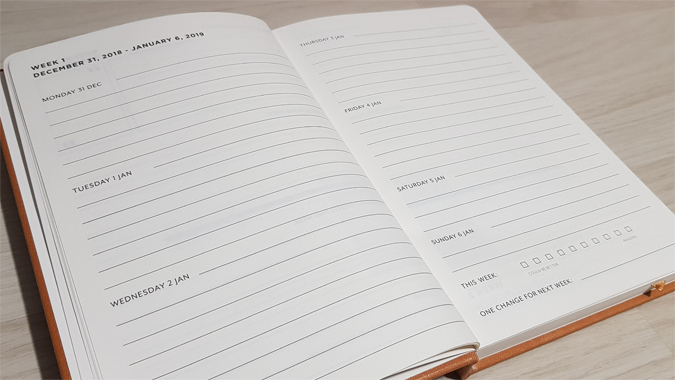 Would love to win this as I haven’t got a diary yet for 2019. This would be perfect for my schedule, goals and appointments. Another brilliant prize and blog. 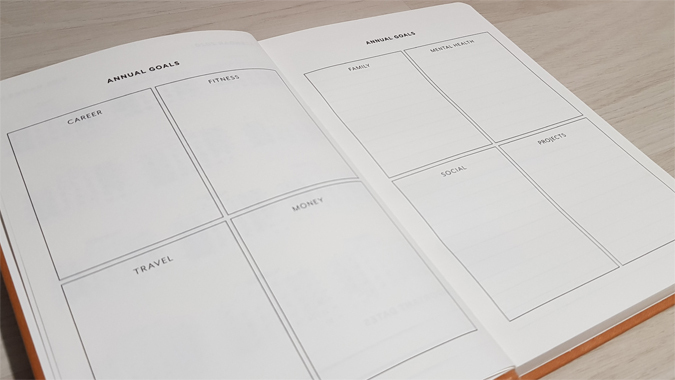 There’s nothing I like better than a great diary and planner.